The RE/MAX name like all things started out small. It began with two young real estate agents who envisioned a new real estate concept. The system that they created was designed to encourage quality real estate salespersons to realize and develop their outstanding business potential. RE/MAX is an acronym for “REAL ESTATE MAXIMUMS”. From a single office that was founded in 1973 with a team of 42 sales associates, RE/MAX has grown into a global real estate network with more than 119,000 sales associates in more than 100 countries and territories. 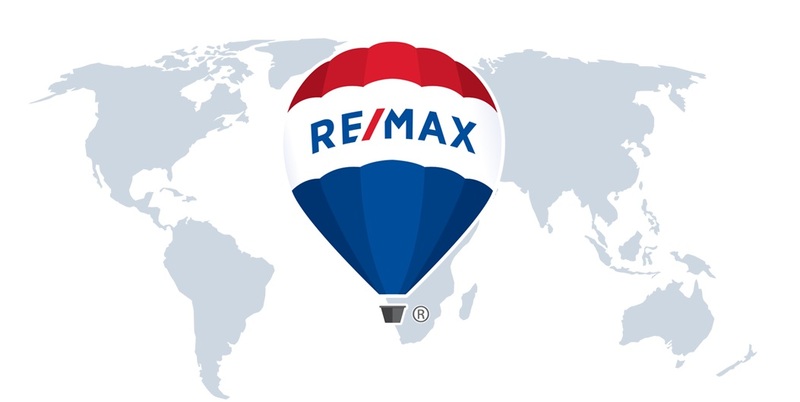 RE/MAX is in more countries and territories than any other real estate brand. The 2018 REAL Trends 500 Survey announced that RE/MAX agents averaged more than twice as many closed sales than agents with other real estate brands for the eighth consecutive year. Nobody in the world sells more residential real estate than RE/MAX. RE/MAX is proud to support various community programs and charities like the Canadian Breast Cancer Foundation’s SOLD ON A CURE program; the MIRACLE HOME program, as well as the Children’s Miracle Network, which is an organization that supports children’s hospitals across North America. The RE/MAX network was named the world’s fastest growing real estate franchise by the 2018 Top Fastest Growing Franchises. RE/MAX members are professionals who are leaders in the real estate industry and are experienced in all aspects of real estate services. RE/MAX Excel Realty Ltd. specializes in the sale, leasing and management of both residential and commercial properties in the Greater Toronto and York Region areas. We are a full service brokerage which offers a fully integrated platform that is designed to help buyers and sellers achieve their real estate goals. RE/MAX Excel Realty Ltd. provides property sellers with the latest marketing techniques that are essential to succeed in today’s challenging real estate environment. Our modern designed offices located in Markham and Richmond Hill are at the forefront of the latest trends. RE/MAX Excel Realty Ltd. incorporates state of the art technology and RE/MAX’s exclusive Curbside Marketing tool, allowing buyers to view property prices, photos, videos and descriptions instantly with their Smartphone. Additionally, we have strategically created a team consisting of in-house lawyers to support any legal inquiries, in-house mortgage specialists to provide instant mortgage needs as well as our in-house marketing team to assist our sales representatives in listing and advertising their properties for sale. Our company clearly understands the changing landscape of real estate and is committed to being the leader in the industry by incorporating the most advanced state of the art technology and professional marketing techniques. RE/MAX Excel Realty Ltd. was founded in April 2010 by Joseph C.H. Wong who has been one of the leading real estate brokers in the GTA for the past 2 decades. During his career, he has specialized in both commercial and residential properties, closing over 1000 transactions. Joseph’s proven success has allowed him to achieve a multitude of awards throughout the years. In the first year alone, RE/MAX Excel Realty Ltd. had grown from a one-man operation to an organization that had over 50 experienced sales representatives. RE/MAX Excel Realty Ltd. sold over $500 million in residential and $200 million in commercial transactions. In 2011, RE/MAX Excel Realty Ltd. set the record of the highest percentage growth amongst all RE/MAX Ontario-Atlantic franchises. When thinking of buying or selling your home, choose wisely. Choose RE/MAX Excel Realty Ltd.